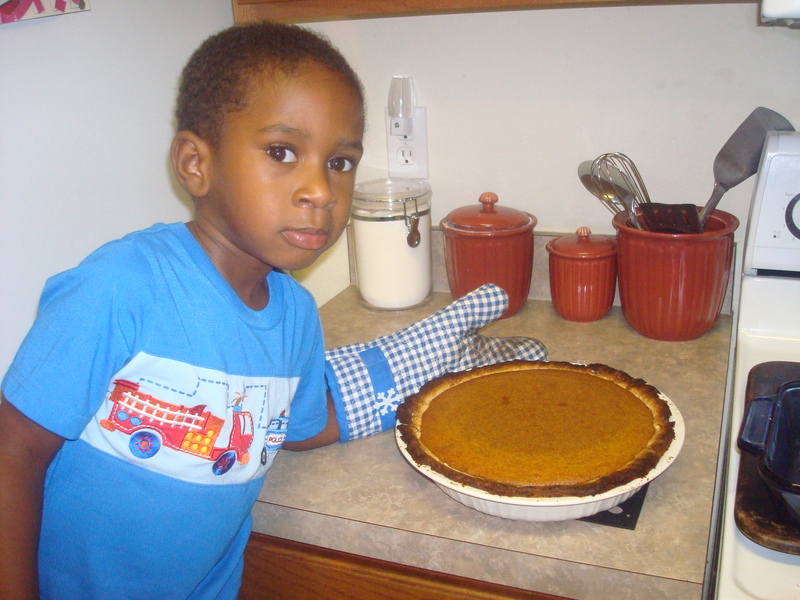 My lil’ helper and I baked a sweet potato pie to top off our dinner today. I was quite impressed with my handy work since the pie, including the delicate, flaky crust, was homemade! By me! Well, and my lil’ helper of course. Kyndal loves to help me cook. So much so that he knows what ingredients we need for certain things, say his favorite…PANCAKES…and he will grab what he can reach while I get everything else. Maybe he will be our culinary wonder one day. Isn’t my lil’ helper a cutie? Anyway, here is the pie that we baked. 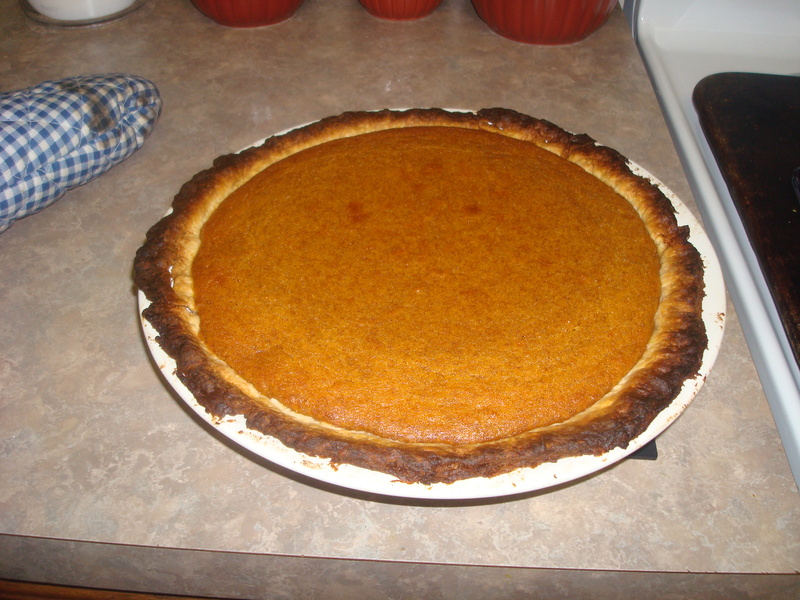 It was pretty good, I mean I’ve made sweet potato pie many times. But this was my first time making my own crust from scratch. The pie is much thicker than I prefer, but I didn’t make enough dough for two pie shells, so I had to use my deep pie dish. The crust is nice and flaky, even though the edges did get darker than I’d have liked. This was mainly due to the fact that I had to let the pie bake a little longer in order for the center to set completely. But all in all, it wasn’t bad. Seon said it tasted good, although he would have preferred it not as thick as well. Here’s a photo of the end result. Dinner was rather tasty as well. 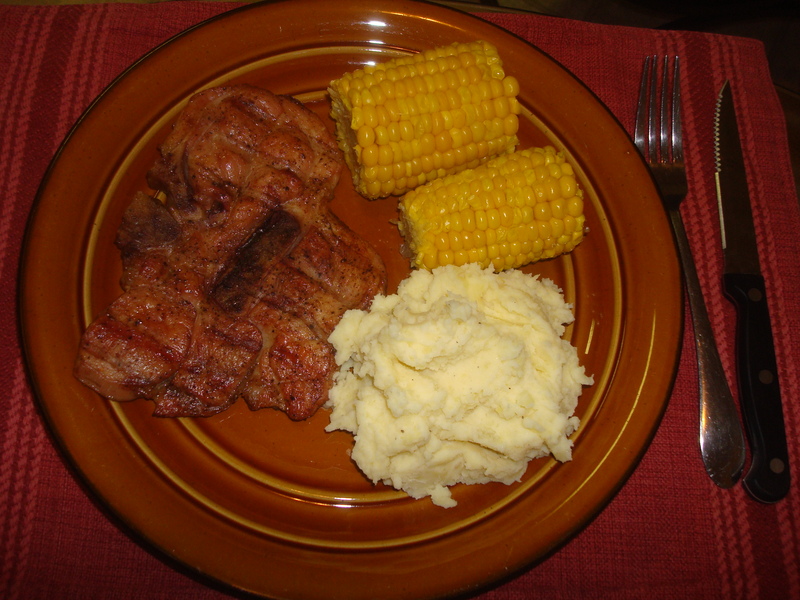 Here’s a peak at our meal as well, which consisted of grilled pork chops, cream cheese potatoes, and corn on the cob. The pie topped our dinner off perfectly.